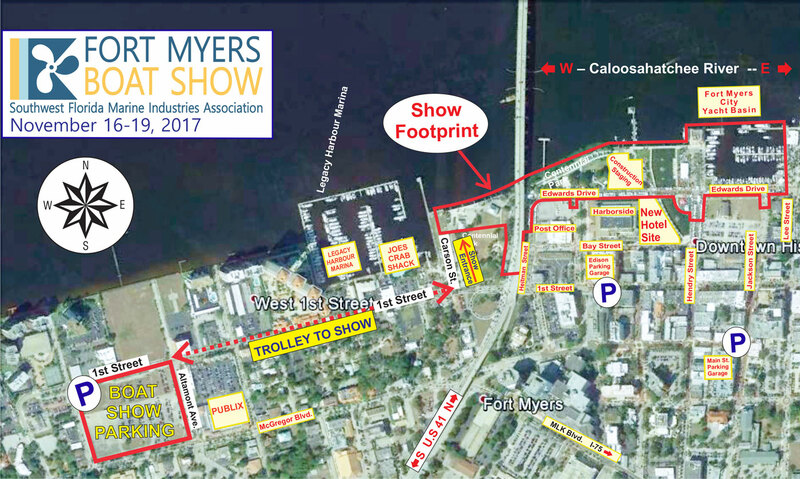 Tickets for the Fort Myers Boat Show are now available for purchase online. General admission tickets are $12 and children under 15 are free with a paid adult. Parking is easy and convenient for this year’s show with plenty of accessible parking available in the large grass lot at First St. & Altamont Ave. (next to Publix), parking in this lot is $5/car and includes a short shuttle directly to the show entrance. Additional parking is available in the Edison Parking Garage at Monroe St. & Bay St as well as the Main St. Parking Garage at Jackson St. & Main St.